I didn’t really think about genre when I started writing The Leaping, which was my first novel. I thought a lot about theme, about narrative voice, about character, about story. (Not necessarily in that order). I knew I wanted to write something about what it meant to be human, fear of death, about paranoia and paralysis in the face of a confusing and hostile world. About how late-stage capitalism insulates us from the consequences of our consumerist actions and choices. Nothing too ambitious, then. In the end the book was about people objectifying and then frantically dismembering each other in some kind of desperate search for a soul, or meaning, and finding—this isn’t much of a spoiler—very little. I showed it to a friend and mentor, Nicholas Royle, who sent it to an editor, who made an offer for the book. I was delighted, obviously. They said they saw it as a horror novel. Well, I thought; yes. Perfect. It is a horror novel. 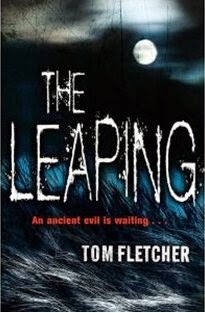 I didn’t know much about horror fiction, having grown up mostly on fantasy, science-fiction and mainstream stuff, but The Leaping had a supernatural aspect—more than an aspect—and plenty of blood, so it made sense to me. And I was happy with that. Second and third novels followed—The Thing on the Shore and The Ravenglass Eye, respectively. Standalones, but set in the same collapsing universe as The Leaping. They were horror novels too, I think, though I was trying not to let any ideas about genre shape what I wrote. I tried to resist neat conclusions and anything approaching redemption or morality, but I didn’t know if this approach was making my books more horror, or less horror. What I wanted was a sense of nightmare, which—for me, then meant creating a sense of wrongness (though not badness) on every level. These books ended up quite cold, and jagged. I was committed to honesty, and that meant not shying away from themes or scenes that were unpleasant to contemplate, and it also meant writing instinctively—following a logic (a nightmarish logic) that operated at a deeper level than the plots, arcs and plans I’d spent a lot of time on. These books, and a fourth horror novel called The Dead Fool, which is under contract but not yet published [ooh!—Ed], are—and I say this with pride—strange, bleak, and alienating. And they were strange, bleak, and alienating to write, too. After writing The Dead Fool, I was exhausted, and wanted a change. I wanted to write something expansive, and not intensely introspective. I wanted to write something a bit pacier, and a bit more structured. I wanted to write something a bit more fun. Yes, I wanted to write something different. But this wasn’t a case of jumping one ship for another; abandoning horror for fantasy. I could have written a horror novel that was pacey, rigorously planned, and fun. And fantasy can be extremely disconcerting and uncomfortable. The truth is, I’d always wanted to write fantasy, as well as everything else. When I decided I wanted to be a writer—way, way back at secondary school—I was devouring writers like Pratchett, Peake, and Hobb, and I’d envisaged myself writing fantasy and sci-fi. When writing my first few novels, I was also noting down ideas for mainstream fiction, and writing SF shorts. Yes, my published novels were horror, but that didn’t mean I was a horror writer exclusively. 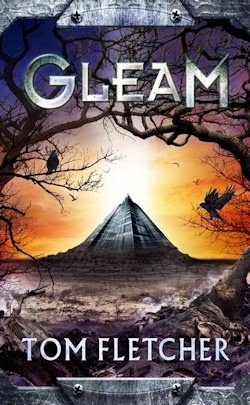 Pitching a fantasy trilogy to Jo Fletcher Books—of which Gleam is the first book—was the realisation of a long-held idea, and it coincided with my desire to try a different approach to writing for a while. And I’m having a blast. Creating a whole other world is a new challenge, but it’s incredibly liberating, as is working across the larger canvas of a trilogy. None of which is to say that Gleam is all sweetness and light, of course. It’s not all colourful moons and campfires and magic crystals. There are ruins, bandits, bloodletters, drugs, giant slugs, and other monsters. There’s darkness, and there’s despair, and there’s violence. But in Gleam, as opposed to in my horror novels, the characters are not completely overwhelmed by the threat, and so the narrative has room for humour and warmth. Wild Alan, Bloody Nora, The Mushroom Queen, Churr, Spider Kurt—they’re all equipped to cope with the world they inhabit, which my horror novel characters are not. The worlds are very, very different. ButI fully intend to return to the brutal, nihilistic world of The Leaping et al in future, and I’ve got plans for another trilogy set in the weird, magical Factory of Gleam too. I’ve grown deeply attached to it (and I hope you’ll all grow as attached to it as I have). I can’t imagine working in only one genre for my entire career. I don’t know any writer who can. And yet you hear of ‘horror writers’ and ‘fantasy authors’. These are reductive terms. Books might (might) have genres; writers don’t. Tom Fletcher was born in 1984 and lives in Manchester with his wife and son. He's published a number of short stories alongside three loosely connected horror novels, namely The Leaping, The Thing on the Shore and The Ravenglass Eye. His new book, Gleam, is the first part of The Factory Trilogy. Find out more about it and its author at The Endist.